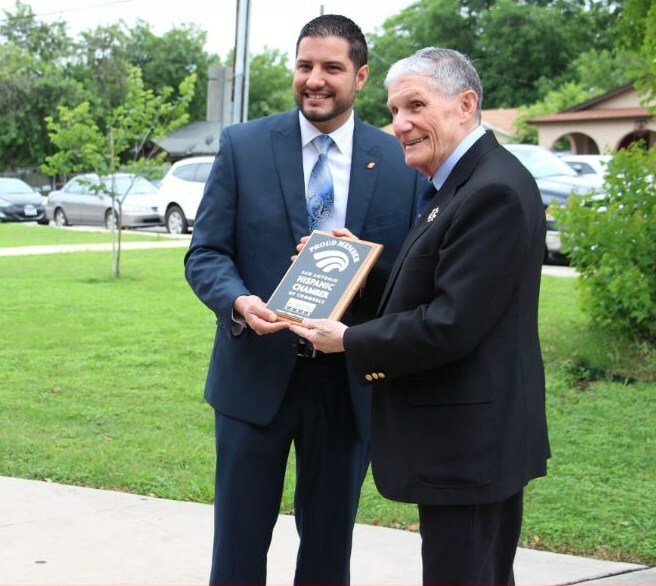 On Wednesday, May 18th Holy Cross of San Antonio hosted a ground breaking ceremony to commemorate the beginning of the STREAM (Science, Technology, Religion, English, Arts and Mathematics) Program that will start in the 2016-2017 school year. The program strategically developed by school administrators, teachers and community leaders. The program will begin for students entering 6th-9th grade. Students will learn in a state- of- the- art , an engineering/mathematics computer lab, and a programming/analysis computer lab. Religion and the arts will be interlaced among the others to ensure the mind and spirt are properly nurtured for a holistic education. Holy Cross would like to thank our sponsor, Ms. Sondra Grohman, we appreciate your love and support of Holy Cross! Holy Cross would also like to thank the Westside Chamber of Commerce and the Hispanic Chamber of Commerce for attending the ground breaking!